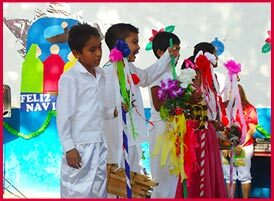 On May 2000, we decided to create an institution to help Mexican society through education and the fostering of values, starting in Zihuatanejo. On October 11th that same year, Casa para Niños del Pacífico was founded. Casa para Niños del Pacífico occupies a rented location in Zihuatanejo, which has been adapted to add a kitchen, bathrooms, offices, workshops and a multipurpose room, as well as complying with existing safety measures. The objective is to become a functional and comfortable center for kids. The main objective in creating the house is to offer integral development in the matter of education for children from low income homes that are currently studying elementary education, ages 6 to 12, that maintain good grades. 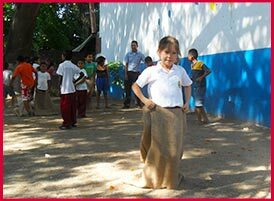 The kids are also given food, clothing and school supplies services, so they can continue with an advantageous school life. All of our children have the chance to be supported morally and economically by the programs in our house, in order to stay in school. In Casa para Niños del Pacífico, we have what are called Lifetime Godfathers, people or groups that commit to economically support one or more of our children. 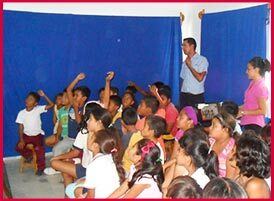 Casa de los Niños del Pacífico is a private welfare institution, so every donation can be tax deductible. Every donation, monetary or material, is welcome; every bit helps to better our efforts. ¡We invite you to be part of our efforts!